Are you a comic con goer or a fan of cosplay? Well, if yes, for those we are offering sponsorship opportunities. 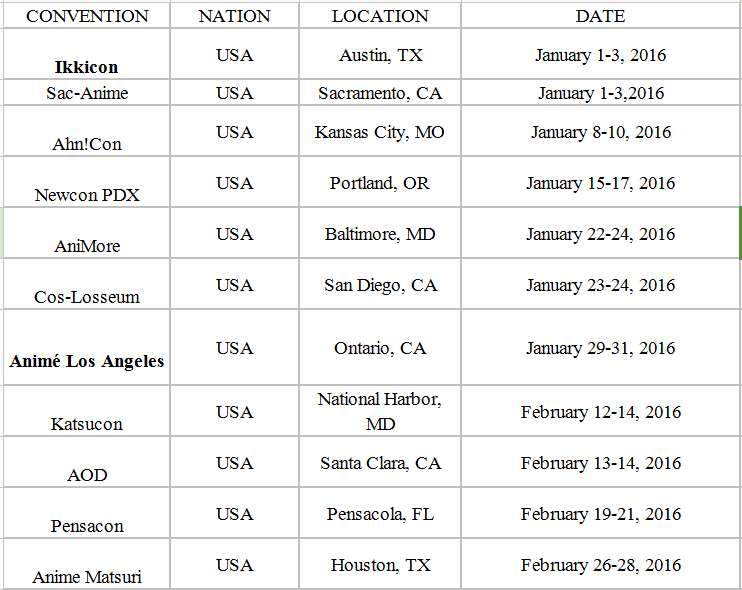 Any one, who are frequently goes to anime conventions,cosplay parties, comic cons etc, can apply for being our invited reporters of our blog. The invited reporters should monthly provide 3-4 quality original articles which have never be posted anywhere else; except from convention topics , other cosplay related writtings like tutorials are also acceptable. In return, we will quarterly sponsor the writer a free cosplay costume including wig, cloth and shoes from our shop . 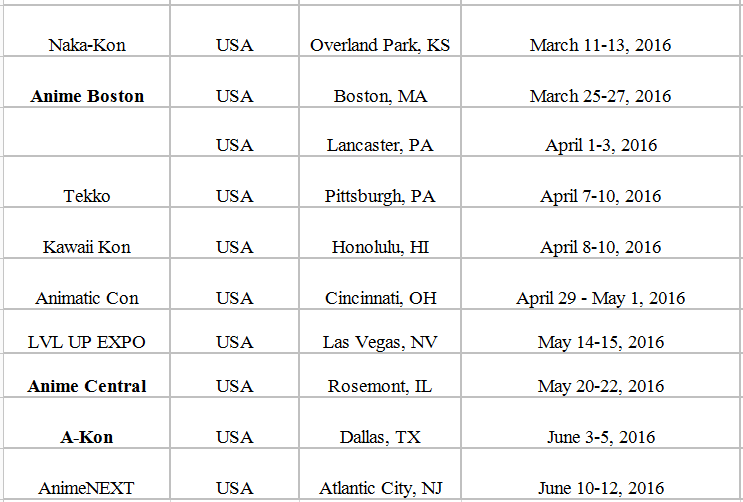 There are the upcoming comic cons in the next 6 months, reports with high quality photos (at least 5-10 photos) about the following conventions are welcomed. Two examples are offered for your reference. If you are intersted, please do not hesitate and it’s better to contact us first. Completion of Genos Cyborg Arm Pre-sale, What’s Next to be Expected?